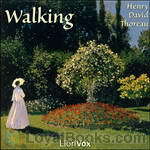 Henry David Thoreau - Download Audiobooks & eBooks for iPhone, Android, Kindle and more! 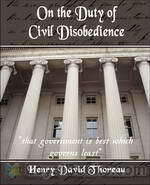 This was originally a lecture given by Thoreau in 1851 at the Concord lyceum titled “The Wild” . He revised it before his death and it was included as part of the June 1862 edition of Atlantic Monthly. This essay appears, on the surface, to be simply expounding the qualities of Nature and man’s place therein. Through this medium he not only touches those subjects, but with the implications of such a respect for nature, or lack thereof. On August 31, 1846, twenty-nine-year-old Henry David Thoreau left his cabin on Walden Pond to undertake a railroad and steamboat journey to Bangor, Maine, from where he would venture with his Penobscot guide Joe Polis deep into the backwoods of Maine. 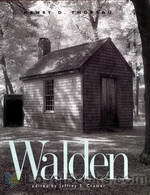 This account of his expedition, some think, is a profounder exploration of the philosophical themes of the more famous "Walden" than is the latter book, at least revealing his fundamental perspectives in embryonic form. Of particular interest is his sympathetic and penetrating observation of the Indian nations of Maine, especially the Penobscot and Passamaquoddy.